Bread. Glorious bread. I blame my mother and my English heritage for my adoration of bread. Soft, doughy perfection. And butter. I think I love butter even more. Creamy delicious butter. Mmmmm. 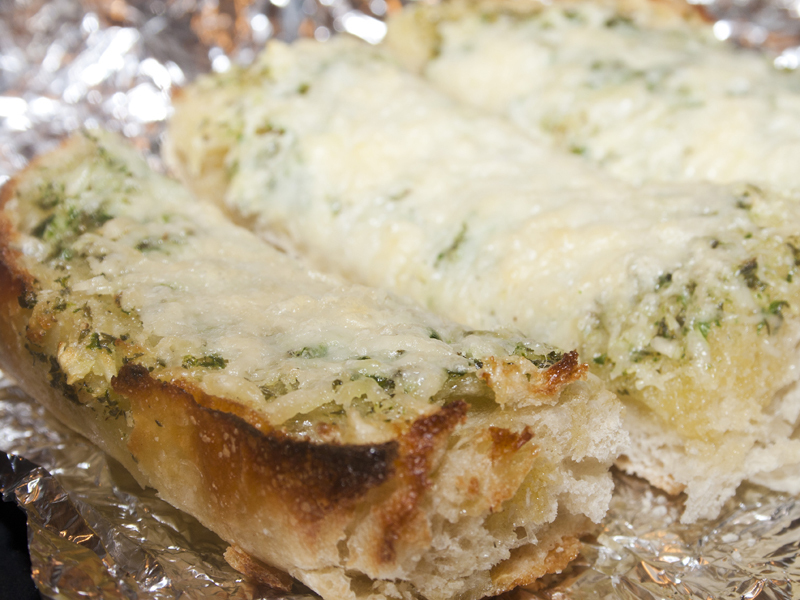 This Basil Butter Garlic Bread is out of this world amazing. 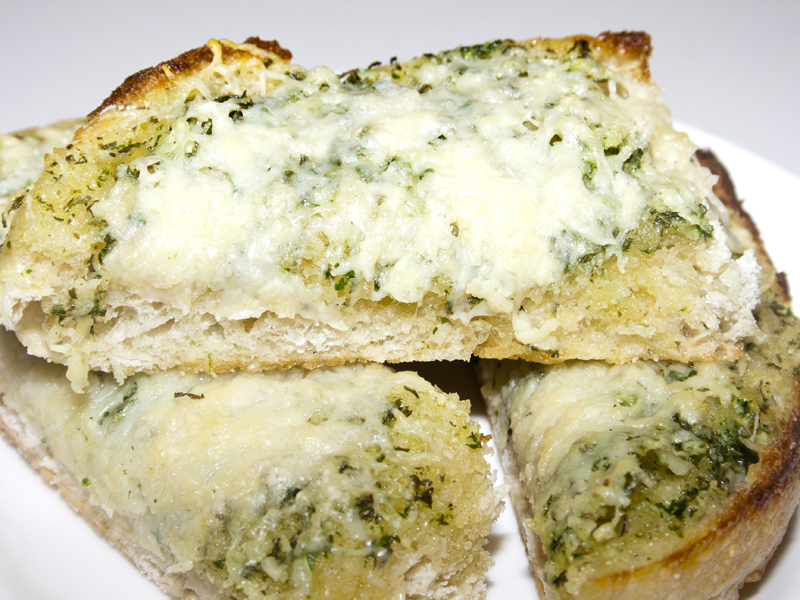 It cranks up the awesome from your standard garlic bread with the addition of basil and parsley. Then it’s topped off with melted cheese. Oh baby. 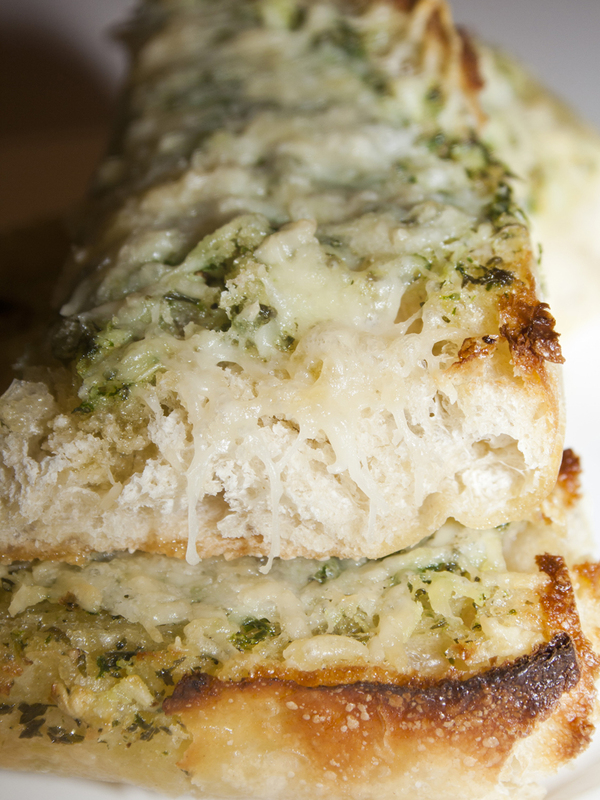 It is warm and crusty fragrant with garlic and basil and just divine. Try not to eat the whole loaf. Oh, and I happen to know this stuff goes incredibly well with veggie lasagna. Yuuuuuum! Can hardly wait to try….bread is MY weakess!